SKU: 7340. Categories: Shop All ThinLine Products, Western Saddle Pads, Western Saddle Pad Liners, Western Correction saddle pad, Western Horse Tack, Therapeutic Saddle Fitting Pads. Tags: saddle fitting pad, western liner, western saddle pad. 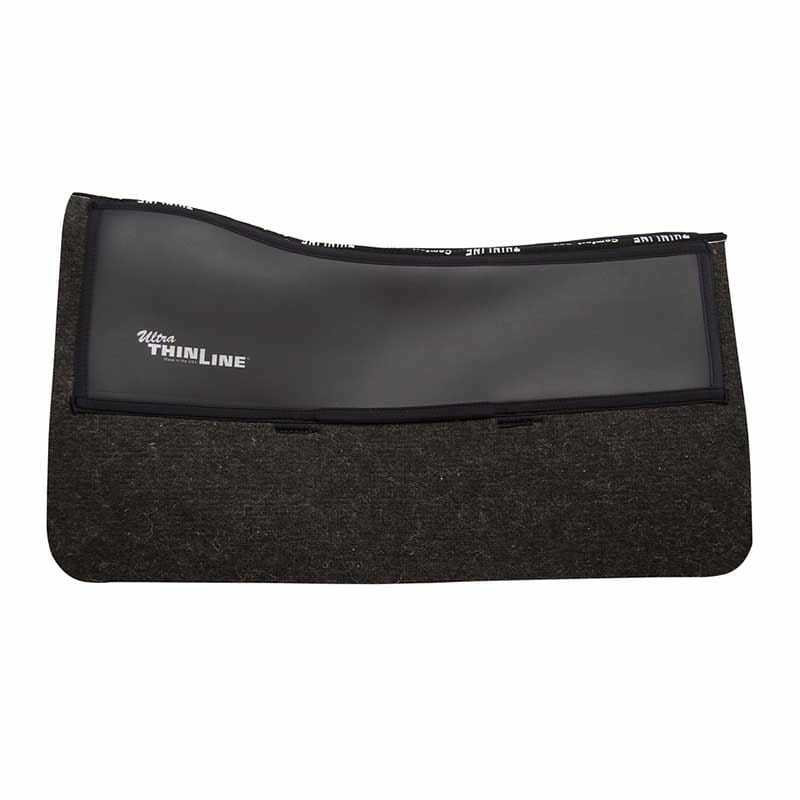 The thin, Felt Liner Saddle Pad provides more shock absorption than a 2-inch thick felt pad. Pressure points are eliminated due to less bulk, the pad is soft and flexible, allowing it to fit neatly and comfortably against your horses’ natural confirmation, and communication is reestablished. Without all that material between you and your horse you can feel each other, but all without the extra movement and “dead” feel of thick pads and gel pads. For the horse, this pad has a wither profile which is best for moderate to high withered horses and a spine-free channel, further reducing the chance of pressure points. This thin pad frees up more room for narrow or snug-fitting saddles and improves the comfort for horses even with saddles which are perfectly fitted. The ThinLine also ventilates, across the pad, allowing excess heat to move out from under the saddle. Most important, to your horse, is how this pad creates stability. Stability creates freedom. Use it as a liner or add the optional fender to use it as a single pad. 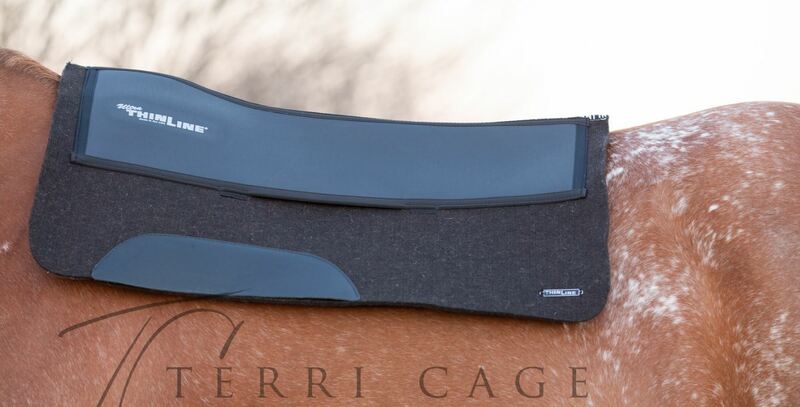 For the rider, this pad’s slim design puts you in closer contact with your horse, so your leg can easily drape giving you a seamless feel of his sides. You’ll notice his back moving more, but with the extraordinary shock absorption of ThinLine you will be moving in unison with your mount. The ThinLine layer sewn onto the pad has a 95% shock absorption rate that spreads impact LATERALLY along the pad. This means that the motion you feel under you as you ride is absorbed by the ThinLine and transferred ACROSS the pad instead of UP into your spine. And this same shock absorption benefit is being enjoyed by your horse as well. * 95% impact protection by moving shock, weight, and heat laterally along the pad. Underneath the ThinLine layer is a pocket to insert shims. 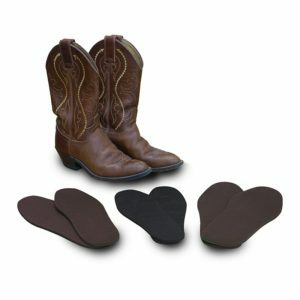 If you need help with minor saddle fit adjustments, purchase this Western felt saddle pad and use it alone or add shims. Either way, your saddle will fit better and your horse will use his back better and stay sounder longer. Shims are made of the same amazing ThinLine material. Once you place this performance saddle pad in your shopping cart you will see below your cart: Add shims to the Pad in my cart. Simply add the shims you need.